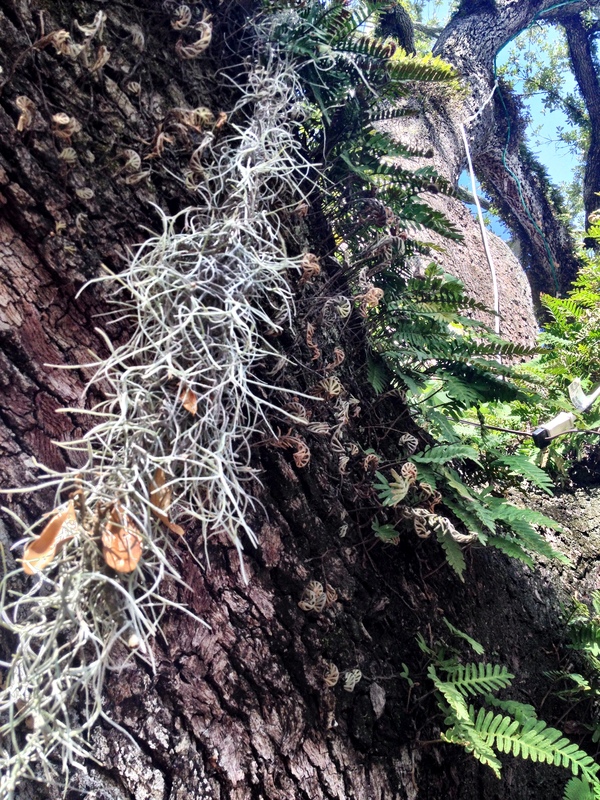 Spanish Moss and Resurrection Fern are often found growing on the oaks of New Orleans City Park. Both plants are epiphytic. Epiphytic plants absorb all nutrients from the air and do not harm the tree that supports them.